Bonin joined the Wake Forest Physics faculty in 1992 and during his time at Wake Forest has served the University as a dedicated faculty member, Physics Department Graduate Program Director, and Physics Department Chair from 2007-17. Additionally, Bonin was a vital force in the recent development of the Department of Engineering, helping develop the original ‘white paper’ laying out a plan for engineering instruction at Wake Forest. Over the last decade, he helped secure over $3.5 million in external funding for numerous projects from the National Science Foundation, the National Institutes of Health, the North Carolina Biotechnology Center, and the Research Corporation. In April 2017, Bonin received the inaugural Academic Leadership award from the Wake Forest College Board of Visitors in recognition of his academic leadership and institutional vision as well as his abiding commitment to academic excellence, diversity and inclusion, classroom innovation, and commitment to students and the Wake Forest community. In his associate provost role, he assists faculty, students and staff as productive researchers and scholars in their current research efforts and to helping them seek new opportunities to further their scholarly creativity and innovation across all disciplines. Kami Chavis, JD, is associate provost for academic affairs and oversees much of the academic and strategic initiatives of the University while working closely with the Reynolda House Museum of American Art, WFDD, WFU Art Collections, the Humanities Institute, the Teaching and Learning Center, the Professional Development Center, online education, START Gallery, the Women’s Center, LGBTQ Center, University Press, Title IX, and the Secrest Artists Series. She is also Director of the Criminal Justice Program and a Professor of Law. As the founder of the Criminal Justice Program, Kami led the law school to national prominence in researching and analyzing police and prosecutorial accountability and the U.S. criminal justice system. As the law school’s associate dean of research and public engagement, she has helped to elevate the visibility and impact of her law faculty colleagues’ scholarship and public programs. A well-known faculty member and administrator, Kami has been active with community members across the University. Since 2015 she had led the University’s Police Accountability Task Force. Nationally, she has gained considerable recognition in the news media for her expertise on criminal justice issues, including police and prosecutorial accountability, community policing and law enforcement and technology. She is frequently interviewed for stories in television, radio, print and online news outlets. 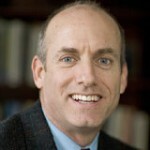 Kline Harrison is the associate provost for global affairs at Wake Forest University. 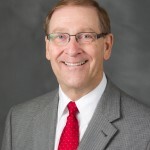 Prior to assuming his current role, he was an associate dean in the Calloway School of Business and Accountancy at the University. He received his undergraduate degree in organizational management from the University of Virginia and his doctorate from the University in Maryland in organizational behavior. His dissertation examined the comparative effects of training methods in preparing managers for cross-cultural assignments. His research has focused on various aspects of international human resource management with a recent emphasis on the impact of personality variables on students’ study abroad experiences. 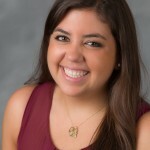 As Administrative Fellow, Christina works with colleagues across the university to enhance visibility of the arts at and beyond Wake Forest, and help forge interdisciplinary connections across the arts and other Wake Forest schools and departments. Her interdisciplinary work includes collaborations with faculty across arts departments, biochemistry, and the School of Medicine. 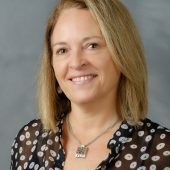 She is co-organizing a third university-wide conference on “Aging Re-Imagined,” and last month was awarded a substantial NIH grant for research carried out jointly a faculty member of the Wake Forest School of Medicine. 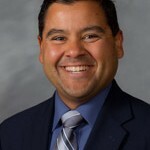 Prior to his current position, José served as Senior Associate Dean for Faculty, Evaluation, and Inclusivity in the Office of the Dean of the College. He also is a professor of Counseling. He has been affiliated with the Department of Counseling since arriving at Wake Forest in 2011, and served as its first coordinator of the Minor in Health and Human Services. 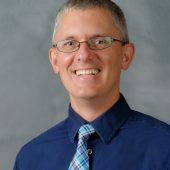 Prior to arriving at Wake Forest, he was an associate professor of counseling at the University of North Carolina at Greensboro, as an assistant professor of counseling at Indiana State University. He teaches courses in multicultural counseling, career counseling, health and human services, and supervises counseling interns. His research interests included health disparities in Latina/o youth, as well as Latina/o access to and completion of higher education options. 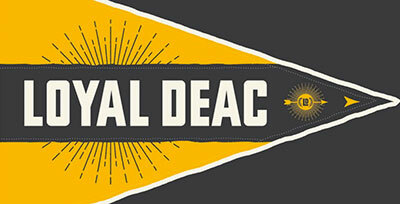 Over the past 4 years, since arriving in the Dean’s Office, he has facilitated diversity and inclusion efforts for faculty and students, in an effort to address issues of access and equity across campus. 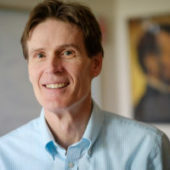 Phil received his undergraduate degree in economics from Wake Forest in 1993 and returned to direct of the Office of Institutional Research (IR) in 2013. Institutional Research provides numerous statistical summaries and analyses of University data to institutional leadership, the public, as well as federal, state, and accrediting bodies. IR also conducts research exploring issues such as factors influencing student retention, graduation rates, institutional effectiveness, and student/faculty/staff/alumni satisfaction. Phil earned his M.S. in higher education administration from North Carolina State University and his Ph.D. in educational policy research, evaluation, and measurement from the University of Pennsylvania. 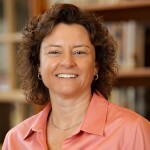 Prior to her current position, Beth was the Business Manager for the Office of the Provost and the Associate Director for the Lilly-funded Pro Humanitate Center. 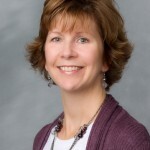 Beth’s undergraduate degree is in Mathematics and she has worked in university administration since 1996 with positions at UNC-Greensboro in financial aid and grant administration. Her current position includes working closely with Human Resources, Financial and Accounting Services, and Facilities and Campus Services. Harold L. Pace began his tenure at Wake Forest in July 2011 in the new position, Assistant Provost for Academic Administration and University Registrar. 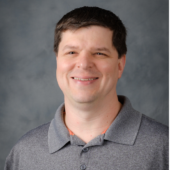 He is the academic record keeper for the University, directs grading, student registration, transfer of credits, degree audit, represents the Provost in Commencement and Convocation responsibilities, and manages various other academic procedures. His work is helping faculty and students administratively, so that they can focus on their primary roles at Wake, teaching and learning. 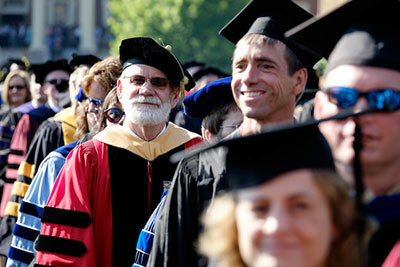 His professional interests include academic mentoring, advising, and student retention. He plans to make use of the information obtained from the student data to support the academic decision process for the institution. 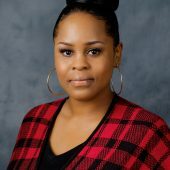 TaShaun began her career in secondary education in 2003 and has worked in higher education institutions since 2008 with positions in Academic and Student Affairs. She joined Wake Forest University in 2014 and worked in the Human Resources Department prior to her current role. Shaun is responsible for managing office operations in the Office of Diversity and Inclusion (ODI) and providing executive assistance to the Chief Diversity Officer. 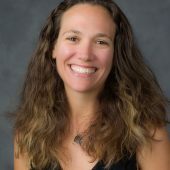 In addition, she works closely with the CDO’s Advisory Groups, the Centers under the Office of Diversity and Inclusion’s umbrella (Diversity Education, Intercultural, LGBTQ, and Women’s Centers), and other campus partners. Elliott received a B.S. from Winston-Salem State University in Business Administration with a concentration in Management and a M.S. in Adult and Higher Education with a concentration in Student Personnel Services from North Carolina Agricultural & Technical State University. Debbie join ed the Office of the Provost staff in 2007 . In her role, she facilitates and coordinates efforts to ensure excellence for all communication, scheduling, organizational and logistical needs related to the Department of Global Affairs. Additionally, she interacts with the department of Global Programs and Studies , and also provides support to the program directors of the WFU overseas programs. 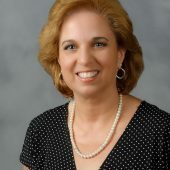 Previously, Debbie served in positions including assistant to the chair of electrical & computer engineering at Virginia Tech, assistant for the assistant to the executive vice president at Virginia Tech, major accounts sales manager at Pulaski Furniture Corporation in Virginia, and branch office administrator at a local branch of Edward Jones investment firm. Sandy received her diploma from Canadiagua Senior Academy (NY). 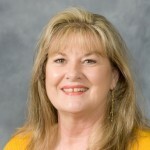 She has 37 years of experience in the administrative field and was employed by Xerox Corporation for 18 years before relocating to NC. She worked at KMPG, LLC for 2 years before coming to Wake Forest and worked in the Graduate Business Admissions Office for one year as an Applications Assistant. 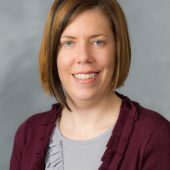 She worked for three years in the Dean of the College Office as the Administrative Assistant to the Senior Associate Dean of Faculty and is currently working in the Provost Office as the Executive Assistant to the Provost. Prior to her current position, Barbara began her career at Wake Forest in 2005 in Financial Service in the Accounts Payable Department. Her current position includes overseeing various funding opportunities within the Provost Office such as the Faculty Travel Fund and Faculty/Student Engagement Fund. 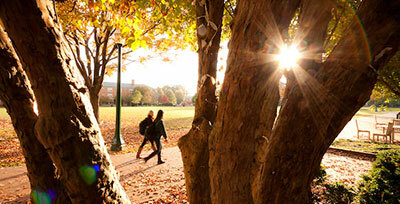 She is also responsible for financial reporting and budget oversight of programs with the Provost Office. 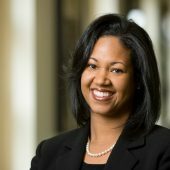 Prior to her current role in the Provost Office, Melissa started at Wake Forest in 2006 in the Human Resources department. Her current position includes managing daily financial tasks, financial reporting and budget oversight for all budgets under Global Affairs. 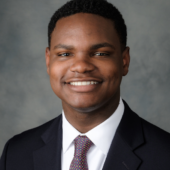 Sam’s major responsibilities include ensuring that the initiatives, objectives, and priorities of the Provost and the Office of the Provost are understood, supported, and advanced. Sam partners with all schools and key university departments and offices to align the mission of the Office of Provost with the strategic progression of the university. Her role also includes developing and executing a variety of special projects and events. Prior to her current position, Sam was the Wake Forest Fellow in the Office of the Provost for the 2012-13 academic year. 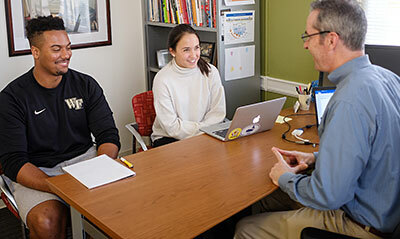 Amalia provides administrative support for the Associate Provost for Academic Affairs and the Associate Provost of Research and Scholarly Inquiry. In addition to that role, she also assists in logistical matters of the University Faculty Senate and supports numerous initiatives centered in the Office of the Provost. Prior to her current position Amalia worked for US Airways for 20 years and has over 30 years of customer service experience.